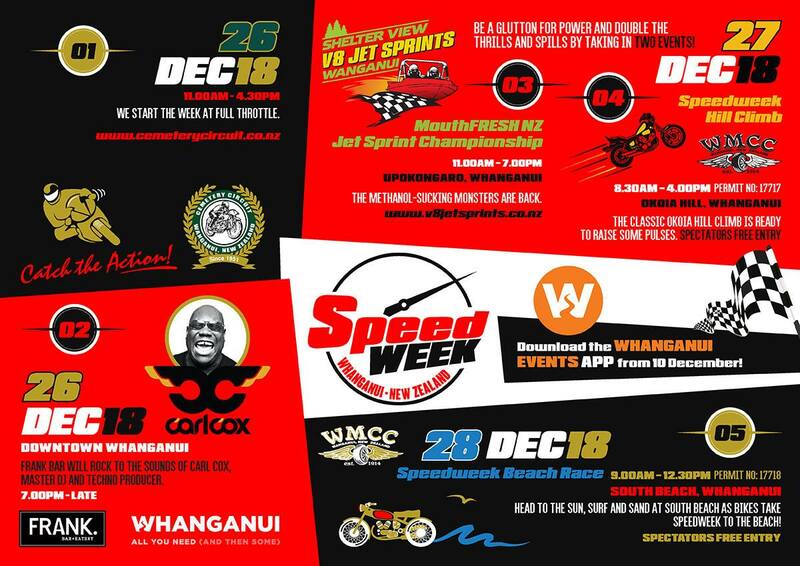 This event will be run under MNZ Manual of Motorcycle Sport Chapters 1 to 10 (Off Road) and Chapter 11 (Road) Beach Race & the supplementary regulations. All Classes will be as listed in the entry program. The organisers reserve the right to merge classes if entries are not sufficient or to run heats if the number of bikes in any class exceed safety limits. The organisers reserve the right to exempt an entry and to manage the classes and race order as may be required due to time/tide available and entries received. There may be restrictions to race entry numbers in some classes, entries therefore will be on a first entered – first in basis. All competitors must hold a current MNZ Competition license or a MNZ Day Licence. 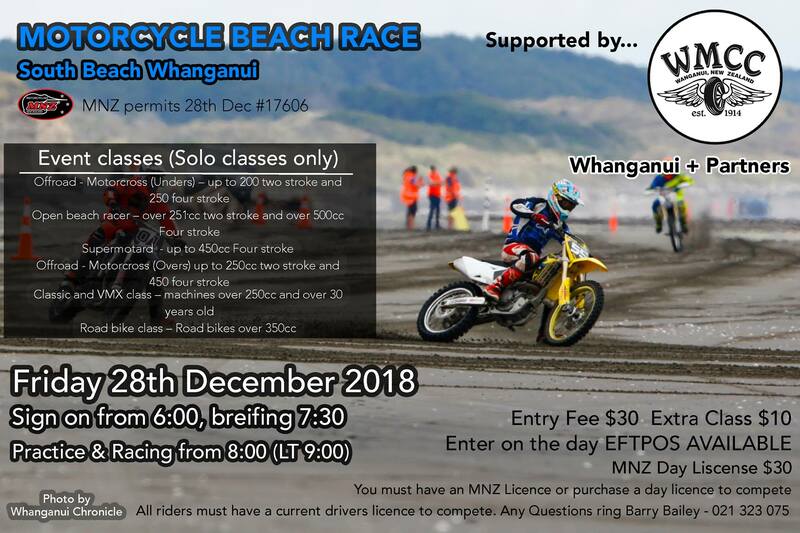 ALL RIDERS MUST HAVE A CURRENT NZ CIVIL DRIVERS LICENCE TO COMPETE ON THE BEACH AS IT IS DESIGNATED A CLOSED PUBLIC ROAD. Please present your machine in a clean tidy and safe condition to compete in accordance with MNZ rules. Motorcycles must have adequate mufflers and limit the noise level to 95Db. The organisers reserve the right to noise test any machine and to exclude any machine that has inadequate mufflers. All races will have approximately 600 meter (½ mile) straights and in accordance with MNZ rules will be run in an anticlockwise direction. Races will be started and finished by the drop of a flag. There will a specified competitors parking area where you will also be able to tend to your bikes. Within this area will be designated refuelling station/s where you must refuel your bikes. This is a requirement of the conditions of beach use and the only place you are permitted to refuel your machine. All fuel, oil and rubbish must be removed by you after the event. NO RIDING IN THE SAND DUNES or outside the designated and coned beach race area. Competitors may be disqualified for breaching this condition. PLEASE ENSURE YOUR BIKE HAS CLEAR READABLE NUMBERS ON FRONT AND SIDE.